​Escape the ordinary at the Gaylord National. Standing on the shores of the Potomac River, adjacent to Washington, D.C., this stylish hotel offers convenient access to many beloved attractions, including the Capital Wheel and MGM National Harbor®. There also are plenty of things to explore right in the hotel. From the 19-story glass atrium overlooking the river and full-service spa to the seven distinct restaurants, you can experience it all. Cap off your night at Pose Lounge & Nightclub, the rooftop bar with stunning views of National Harbor. 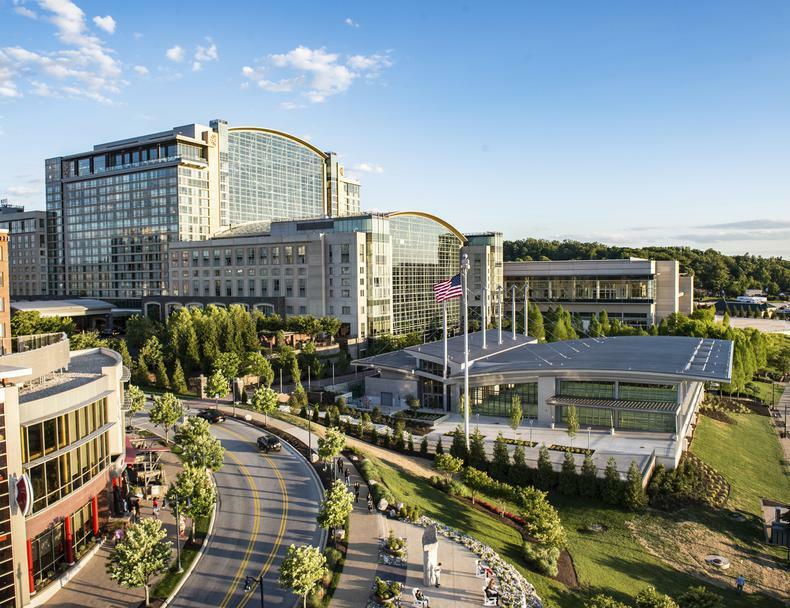 Whatever the reason for your trip to the Washington, D.C. area, allow Gaylord National Resort & Convention Center to make it one you won't soon forget. Please click the link below to make your reservation. · 7 miles and just 15 minutes from Reagan National Airport, 32 miles from Dulles International Airport, 8 miles and just 20 minutes from Union Station. · 15 minutes from the National Mall & Smithsonian Museums. · Complimentary National Harbor shuttle runs throughout National Harbor, shops & restaurants and the hotel. · Across the river from Alexandria, Virginia, which is accessible via water taxi, and known for its historic Old Town. · Happening at the Hotel during Hot Topics: Christmas on the Potomac, featuring unique holiday happenings including Gaylord’s exclusive ICE! experience. If you are reserving for a group, please call 1-888-789-3090 to make your reservations.